In our franchise-happy world, blockbuster directors are often asked to make small concessions to bolster a larger universe. And no one knows this better than a director working within the Marvel Cinematic Universe (or one who isn’t). 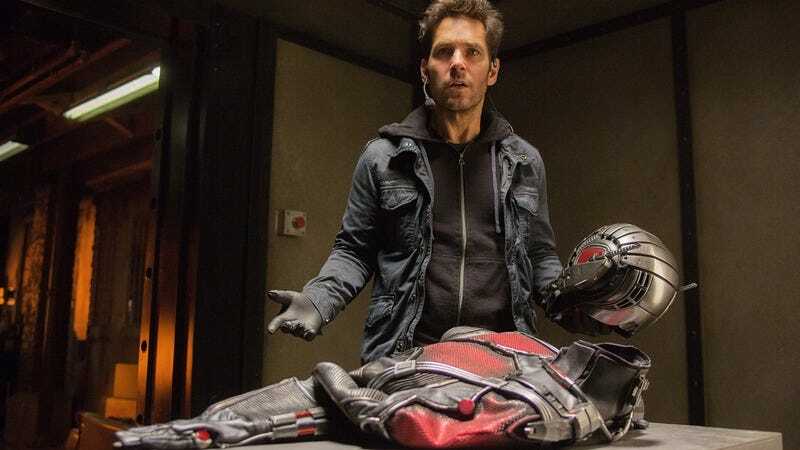 Now, Ant-Man director Peyton Reed is revealing just what MCU-inspired changes took place over the course of his production. In an interview with CinemaBlend, Reed explains that the film was originally going to end by wrapping up a dangling plot thread: Mitchell Carson (Martin Donovan), a high-ranking S.H.I.E.L.D. official glimpsed in the ’80s prologue who is later revealed to be an undercover Hydra agent. As it stands, Carson tries to purchase the Yellowjacket shrinking suit and “Cross particles” created by baddie Darren Cross (Corey Stoll), and when things go south he manages to escape with the latter. At the end of the movie he gets away and has these Cross particles, and there was a sequence where Ant-Man has an encounter with him. But then for a couple reasons, it felt like maybe we should leave those particles out there. In that original thing, he took Martin Donovan out and got the particles. So instead the film ends with a joke: In an elaborate montage, Luis (Michael Peña) tells his superhero friend Scott Lang (Paul Rudd) that an Avenger is looking for him, presumably setting up Scott’s appearance in the upcoming Captain America: Civil War. Meanwhile, Carson is still out there somewhere with magic particles just waiting to be the deus ex machina in Dr. Strange or Black Panther, leaving MCU fans to explain this increasingly confusing world to their increasingly confused friends.